Author: Ivan Turgenev, Constance Garnett (trans), John Collier (illus). Publisher: The Franklin Library, 1981. A Limited Edition for subscribers, in the 100 Greatest Books of All Time series. 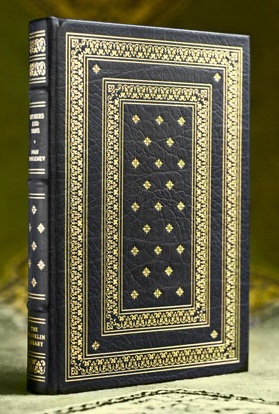 Condition: Hardcover, black leather. Like new – no observable flaws. Has previous owner’s bookplate attached, which can be pasted over on request. When a young graduate returns home he is accompanied, much to his father and uncle’s discomfort, by a strange friend “who doesn’t acknowledge any authorities, who doesn’t accept a single principle on faith.” Turgenev’s masterpiece of generational conflict shocked Russian society when it was published in 1862 and continues today to seem as fresh and outspoken as it did to those who first encountered its nihilistic hero. The fathers and children of the novel refers to the growing divide between the two generations of Russians, and the character Yevgeny Bazarov has been referred to as the “first Bolshevik” for his nihilism and rejection of the old order. 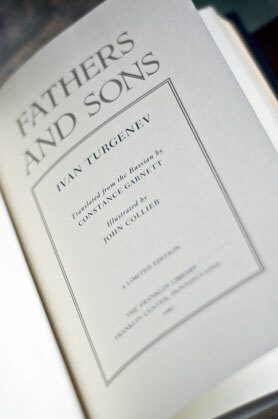 Turgenev wrote Fathers and Sons as a response to the growing cultural schism that he saw between liberals of the 1830s/1840s and the growing nihilist movement. Both the nihilists (the “sons”) and the 1830s liberals sought Western-based social change in Russia. Additionally, these two modes of thought were contrasted with the conservative Slavophiles, who believed that Russia’s path lay in its traditional spirituality. Fathers and Sons might be regarded as the first wholly modern novel in Russian Literature. The novel introduces a dual character study, as seen with the gradual breakdown of Bazarov’s and Arkady’s nihilistic opposition to emotional display. This prominent theme of character duality and deep psychological insight would exert an influence on most of the great Russian novels to come, most obviously echoed in the novels of Tolstoy and Dostoevsky. 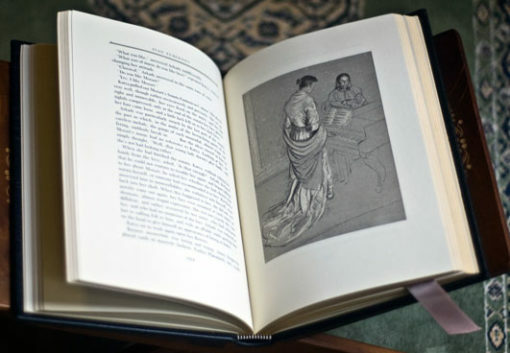 The novel is also the first Russian work to gain prominence in the Western world, eventually gaining the approval of well established novelists Gustave Flaubert, Guy de Maupassant, and Henry James.